The best thing about working at BMG: my co-workers. While each of us has a different background, skill set and tastes, we all love music and the people who make it. That’s what brings us together and motivates us to go the extra mile for our clients. I’ve had the chance to help build up a fast-growing music company with values that I can fully support – there hasn’t been another company that could have offered this opportunity in the past years! I think the client’s ability to call and get a real person on the other line who is both knowledgeable about and genuinely invested in that client’s success is something that no other major publisher is capable of providing. 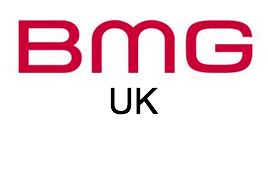 I love working at BMG because it’s all about the artist. With a roster as diverse as BMG’s it’s hard not to be excited about the potential opportunities. With a genuinely International A&R team it makes global successes a real likelihood and not just a dream!